The weekend will also see performances from Mother DJs, Gossip, Daithí, Horse Meat Disco, Andy Butler (Hercules & Love Affair), Kelly-Anne Byrne, Soulé, Andy Butler, Daithí & RuPauls Drag Race Icons: Monet X Change, Naomi Smalls, Jujubee, Laganja Estranja & Sonique and much much more. A brand new shining beacon in the Irish festival scene launched today. 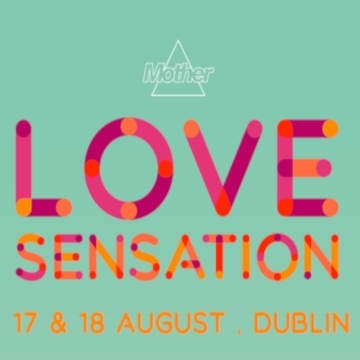 Love Sensation, brought to you by the team behind Mother, will pop its festival cherry this August 17th & 18th 2019 at the Royal Hospital Kilmainham, Dublin. A next generation two-day music and arts festival aimed at the LGBT+ community and their many friends, Love Sensation sees Lily Allen, Clean Bandit, Gossip & Kelis top the bill across the weekend. Who else could host the main stage for the weekend, there really is only one woman for the job, step forward Panti Bliss! Expect tons of surprises from The George stage, a Mother Dance Tent you won’t want to leave and a host of RuPaul Drag Queens brought to you by Dublin drag legends ‘Dragged Up’ including Monet X Change, Naomi Smalls, Jujubee, Laganja Estranja & Sonique! Joining together thousands of the LGBT+ community with their allies, The Royal Hospital is going to sparkle this August for the most colourful festival Ireland will see. Party the end of summer away with friends to the sounds of pop, dance, electronic and so much more! Love Sensation promoter and founder of Mother, Cormac Cashman, said “Love Sensation feels like a natural progression for us. We’ve wanted to run a music festival for years, something that caters to our community and focuses on inclusivity, fun, good music, good times and sound people. Further line up details to be announced in the coming weeks.